Yesterday saw the launch of Vulnerability: a guide for lending; an important new report aiming to help firms better identify and support customers with mental capacity limitations during credit applications. The report is produced by the University of Bristol’s Personal Finance Research Centre and funded by the Finance & Leasing Association and UK Cards Association. It is supported by the Trust and key trade bodies for financial services – FLA, BBA, CML, CSA, BSA, UK Cards Association. Where not identified, these can result in detriment including borrowing, lending and contracts that results in ‘later downstream’ financial difficulty and problem debt. 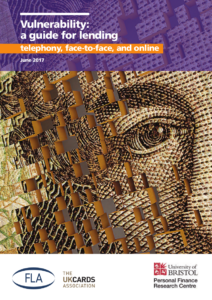 We see the implications of this every day at National Debtline, and are keen to work closely with financial services and other sectors such as telecoms (e.g. when signing customers up for mobile phone and other telecoms contracts) and motor finance (e.g. when entering car leasing agreements) to improve early identification and prevent the build-up of debt. At a time when levels of borrowing are reaching new heights and inflation continues to rise, the FCA is turning its attention to the adequacy of affordability assessments being carried out for new lending. This report will help to inform this work through its detailed focus on mental capacity and credit applications. Offer support, as through reasonable support many customers experiencing capacity limitations can overcome them, and (if eligible) make an informed decision to take out credit. Although ‘mental capacity’ is not a new issue for lenders – it is an area where detailed data and insight have often been lacking. It is also an area that is widely confused with mental health more generally, as evidenced by this research. Understanding the difference is key, as the support needs of customers with mental capacity limitations, and those with mental health problems (but no mental capacity limitation) are often very different. This guide draws on survey research with 1,524 frontline staff in 18 UK lenders, and discussions with stakeholders to provide context, insight and action in dealing with decision-making limitations. The report finds that in a typical month, during credit applications, staff report encountering four customers with serious problems with understanding, three with communication problems, two with memory problems, and two with problems weighing-up information. These represent, of course, only cases where these factors are being correctly identified by staff – it would be reasonable to conclude the true figure is even higher. Although these numbers may appear modest, when considered across multiple staff handling credit applications in a single lending organisation, the scale of potential contact begins to emerge: this means that in a typical month, a lender with 100 staff will have 400 encounters with customers with serious difficulties in understanding, which equates to 4,800 annual encounters. Each of these encounters represents an opportunity to provide further support (where needed) to overcome these difficulties. Just 26% of frontline staff reported that their organisation had a policy or procedure covering what they should do if they suspected a customer had a mental capacity limitation. In response to this, through presenting new data, practical tools, and staff insights, the guide has aimed to improve current practice, and inform thinking about future activity.  As part of this thinking, we at the Money Advice Trust are developing our creditor training and consultancy to cover practical steps and actions lenders can take to better identify and support customers with mental capacity and other decision-making limitations. The research also draws on previously unpublished work undertaken and led by Chris Fitch and the Money Advice Trust on online lending. This work involved discussions with a range of lenders about the opportunities for identifying and assisting customers with mental capacity limitations (and other decision-making difficulties) during online credit applications, which we will be developing further in coming months. To find out more about this or let us know your thoughts you can click here or contact Henna Mian at henna.mian@moneyadvicetrust.org.